For intrepid traveller Graeme Lay the islands of the South Pacific are the most intriguing places on earth: sublimely beautiful, blissfully remote, full of wonderful people and cultures – and a haven for bizarre misfits, would-be adventurers, and artists and writers in search of an earthly paradise. 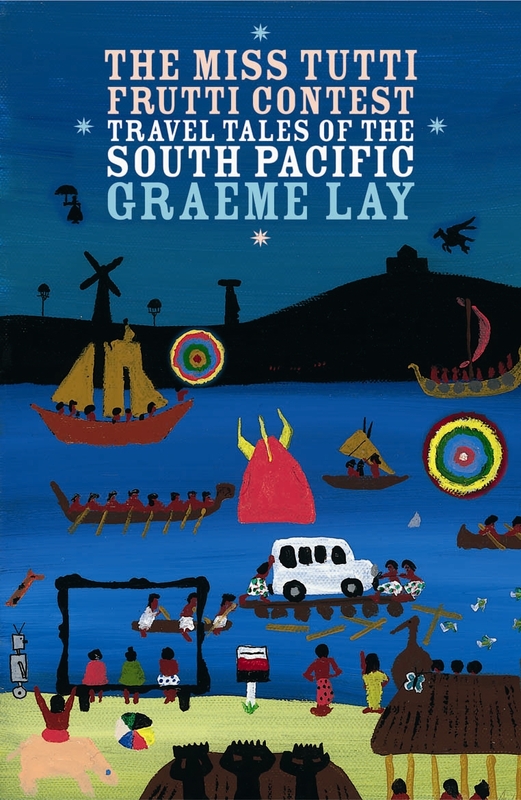 In this marvellous new collection of travel stories, Lay suffers a gender crisis in Samoa, uncovers Gauguin’s shocking secrets in Tahiti, is haunted by Herman Melville in the Marquesas, is forced to impersonate a Mormon missionary in Tonga, attempts to seduce the Slovenian Olympic ski team in Rarotonga, and retraces the tragic last days of Robert Louis Stevenson. Warm, wry, perceptive and engaging, The Miss Tutti Frutti Contest will delight both South Pacific travellers, and those who call the islands home.